In an act of extraordinary kindness, I thought I would offer a little comment on a matter of ancient texts, new discoveries, and a controversial headline I saw today about “Jesus’ Wife.” This is an act of kindness, of course, because my colleague Jeff Kloha would normally write something helpful about such discoveries—but this one is easy, so maybe I’ll just give him the night off. He’s a busy guy. Harvard scholar Prof. Karen King has written a forthcoming essay in which she offers for the first time a translation and description of, in her words, “a fragment of a fourth-century CE codex in Coptic containing a dialogue between Jesus and his disciples in which Jesus speaks of “my wife.”” She immediately comments, “This is the only extant ancient text which explicitly portrays Jesus as referring to a wife.” It’s only the first day that this announcement appeared, but one can imagine the frenzy which will likely ensue in the days to come. Of course, given the attention span of most Americans, the frenzy won’t last for weeks. And if people would just read the opening paragraph of Dr. King’s essay (available at http://tinyurl.com/9raroqa), then everyone but specialists and those interested in possible reconstructions of the history of the second century AD would lose interest. To be sure, Dr. King is using the term “Christians” in a broad sense to refer to any group that held Jesus (or some understanding of him) in very high regard. Traditional Christian scholars today would likely employ a different term, such as “Gnostic” or “heretical” to describe the group that produced and/or cherished documents such as the fragment under study. Nevertheless, a simple and direct reading of the opening paragraph of King’s paper (from which all of the direct quotations above are taken) answers the chief question that people might have today. Does this find “show” that Jesus really was married? No, the author doesn’t claim that. Does this find “suggest” that Jesus really was married? No, the author states that it doesn’t even speak to that question. To be sure, there are significant debates taking place about the history of the second century, and these are important matters that impinge upon the disciplines of textual criticism and the study of the development of Christian doctrine, to name just two areas of research. Many scholars no longer operate with the categories of “orthodox” and “heretical,” instead speaking of a diversity of Christian groups. These discussions matter a great deal, but I will not go into that here and now. Most people will look at the headline at MSNBC.COM, “Historian Says Piece of Papyrus Refers to Jesus’ Wife,” (http://www.msnbc.msn.com/id/49075679/ns/technology_and_science-the_new_york_times/) and think that now scholarship has taken away or cast doubt on one more claim of traditional Christianity. The interesting thing is that Prof. King’s article does no such thing, and does not even claim to do so. Sometimes, all it takes is the ability to read what someone has written. I’m sure Dr. Kloha appreciates the night off, because now he’ll have 20 congregations lined up for him to make a presentation on the topic. You’re right–this little incident is one more reason to adopt a hermeneutic of suspicion regarding all of the major news media, whether it is Fox News or NBC something else. Careful articulation and fair-mindedness don’t sell. And if Jeff Kloha has to be gone a bunch, I’ll feed his chickens for him! Thanks, I have already had questions about this and James said it best when he says it is well reasoned. Great way to deal with the subject without having to delve into the deeper truths which (unfortunately) go over, at least my, congregation’s head. They talked about it on the View this morning. Thank you Prof. Gibbs for your comments on this topic. While your analysis that this text provides next to no information for the historical Jesus is surely correct, some of King’s arguments for the provenance of this text in the latter half of the second century are even in doubt. King argues that the actual manuscript is from the fourth century (King, 8). She postulates that the original composition would be from the second century due to similarity with other Nag Hammadi treatises (most notably the Gospel of Thomas 101) and the discussion of the marital status of Jesus in Clement of Alexandria (King, 1). If this were the case, then King is absolutely correct that this text (if we had the entire text) provides an interesting and new development in the dialogue of Christianity in the 2nd-4th century. However, questions concerning the authenticity of the fragment have been raised by a number of noted Coptologists (http://www.ajc.com/news/ap/top-news/harvard-claim-of-jesus-wife-papyrus-scrutinized/nSFRz/). King does admit in her paper that neither the fragment’s ink nor papyrus have been tested (a process which is apparently forthcoming). However, King in addition to the comments she cites of Roger Bagnall (NYU) and Anna Marie Luijendijk (Princeton) finds this to be probably authentic due to handwriting and textual clues. Important to note however, is that an equal number of scholars such as Stephen Emmel (University of Muenster), Alin Suciu (Hamburg), Wolf-Peter Funk (Laval) have questions concerning the authenticity on the same grounds. King’s argument of the fourth century fragment which preserves a second century original, might well be accurate. However, at this point, it is unclear if that is even accurate. Once some testing has been done, a more robust statement about this text might be able to be made. 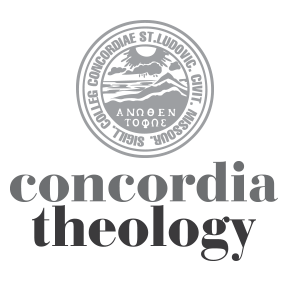 Adjunct Instructor of Theology at Concordia University, Portland with a specialization in Nag Hammadi and related literature. Note – all references to “King” are Karen King’s initial paper presented at the conference which is available online (link on Prof. Gibbs’s original post). Thanks very much for your additional (and spot-on) comments about the tentative nature of King’s findings. As you saw, her article, although somewhat confidently coming to conclusions about date and provenance for the fragment, is a good piece of scholarship in that she clearly lays out the steps she takes to reach her conclusions. I also noted that other specialists have weighed in, with considerably more reservation about (especially) the authenticity of the fragment. The St. Louis Post-Dispatch article this morning was this: “Doubts persist about Harvard scholar’s claim of `Jesus’ Wife'” The headline shows the questions that have already arisen, even as it continues the mis-understanding about what King’s article even claims. Again–many thanks for your post! Worldly hostility has perhaps made me cynical, but I believe that the intent of MSNBC and the NYT and other media outlets (I just read that Ms King has now posted a video on the Harvard YouTube channel) is to provoke exactly those kinds of thoughts in an attempt to undermine the credibility of Christianity. There are already posts claiming this discovery “proves” Dan Brown’s claim that Jesus was married. May our Lord open their eyes. I can appreciate your suspicions about the intent of media. I find myself wondering whether the driving force has to do with (1) being sensational, so as to (2) increase readership, with the result that (3) more advertizing money comes in. But I could easily be wrong (something that happens all the time). Thank You! Quick responses like yours need to be out there all the time when something like this hits the internet and TV etc. My understanding of this was that it was referring to the Church as Jesus “wife” or “Bride”. Yes, this is one of the possible construals of the fragment. Thank you for your extraordinary kindness is writing this article. Thanks also for such a quick response! When I walked into my Wednesday morning Bible class a 90 year old member of our congregation met me with a news clipping in hand wanting to discuss this newly reported find. God’s people are asking questions about this and other issues in the headlines, and I thank Concordia Theology for helping better equip pastors (and others) in giving faithful answers. Another issue that has come up with this find is Jesus allegedly not only referring to his “wife” but also calling her his “disciple.” Some articles I’ve read suggest that calling a woman his disciple has earth-shattering implications for the role of women in the Church today. The Gnostic nature of this writing aside, should making reference to a woman as a “disciple” really have such profound effects as some in the media have suggested? Especially considering the use of the word in places like Matthew 28:19? Thanks to Travis Scholl for posting this article on Facebook. Thanks for writing, and you are absolutely correct that Jesus’ address to a woman as “his disciple” has no necessarily radical implications. The term can refer to any believer, and not only to apostles or things like that. Thanks Dr. Gibbs for this great resource. I’ll be sharing this with my congregation. Many young boys in Jesus’ day were called Jesus. It is a common name and the equivalent of Old Testament Joshua. This could have been anyone named Jesus. Even today, especially in Mexican culture, children are named Jesus. How quick the world is to make Christians out to be fools following some dead guy from Galilee who is also a liar, apparently. God’s Word stands as true as it always has and someday every knee will bow and every tongue proclaim that Jesus Christ is Lord. You are quite right; the name “Jesus” was extremely common in the first century (we know this thanks to an Israeli scholar who actually counted names!!). Even if the fragment does claim to be referring to the Lord Jesus, there are so many other reasons (which have come out in recent days) not to be disturbed by this. I don’t see that it makes any difference to Protestants if Jesus was married or not. Beyond historical interest, I don’t see that the topic has theological implications. Many thanks for your comment. I do think it has theological ramifications. Jesus of Nazareth has only one natural Father–God his Father–and only one natural mother–the human Mary. And Jesus has only one wife–the church, his bride. I think these affirmations go together. You raise an interesting point, and one that I have not really thought about, since it seems relatively obvious to me (though admittedly from silence) that Jesus wasn’t married. But the way the Lord defines “his family” as his disciples, pre-empting even his mother and half-siblings (if that’s the right term), would be a more complex thing if he were married. So, the adult Jesus says that his family–father, mother, brothers, sisters–are not his family (presumably because at that time, they didn’t believe in him. But his disciples are his family. Anyone who truly knows Christ and their Bible shouldn’t even be concerned about this except to say how ridiculous it is and contend for the faith. Even though ‘some’ people want to suggest otherwise regarding others beliefs that they apparently don’t understand. AND even as the Apostle Paul was and recommended being unmarried to be solely devoted to Christ even as Christ was Himself to God, is frowned upon by some. Spiritual intimacy is knowing Christ and being united to Him in the spirit as mentioned of the mystery of Ephesians 5 and Him being ‘married’ to the Church; it does NOT mean married in the sense of man and woman. What the gnostic writings has to do with the true gospel of salvation? Through history many people had and still tried to strip Jesus of His deity.The marriage is taken to be proof that He was not God in the flesh,but only a mortal man.Lies sell very well but the truth always prevails and anything based on a lie is a lie.The Holy blood Holy grail pretend that Jesus escaped death on the cross and married Mary Magdalene.Then da vinci code pretend a secret marriage between Jesus and Mary Magdalene and the real blood of the grail is inside Mary based on the painting of the last supper by Leonardo da vinci.Now a scholar has a writing words on a papyrus about Jesus wife and titled that papyrus in the shape of a credit card,a gospel! Actually in the above fake stories there is a very dangerous and deceiving lie about the real blood and the wife.The truth is that REAL and Holy blood is on Jesus’ forehead and not in the womb of Mary Magdalene or any other woman.This is revealed in the true story the coin of the temple by souheil bayoud.As for the wife,the impossibility of the marriage of Jesus is like the physical resurrection which cannot be seen by the blinds and is not revealed to opponents to Orthodox Christianity and the Church.